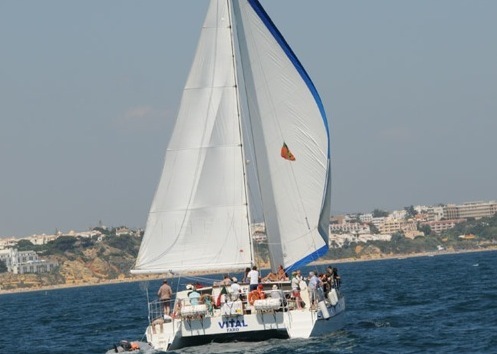 Catamaran Vital is a new sail catamaran with 15 m long and 8 m wide and capacity for up to 60 people. Catamaran VITAL is a new sail catamaran built in the USA in 1999. She is 15 m long and 8 m wide with a capacity for up to 60 people. Covered bar serving drinks and snacks. 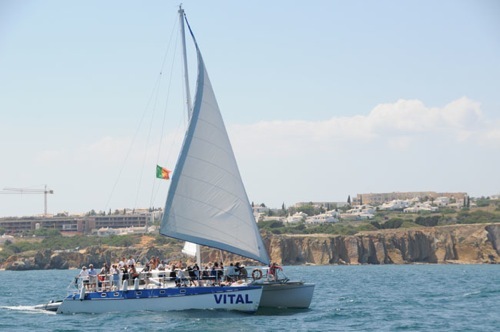 VITAL has all of the modern communication and safety equipment, 2 engines (should the wind fail us), and a pleasant crew. 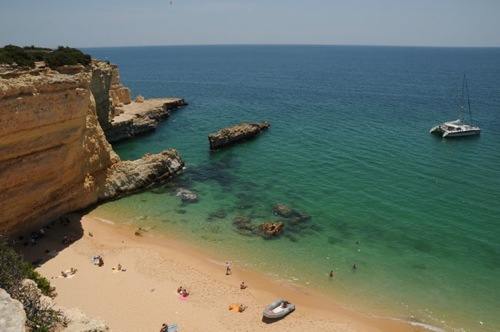 It is ideal for groups wishing to spend an enjoyable time together and experience a different view of the Algarve. Cruise availability depending on weather report.